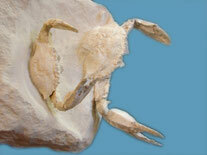 We sell genuine British fossils and fossils from around the globe. megalodon teeth for sale Our range includes dinosaur teeth, fossils for kids, dinosaur bones from the Isle of Wight, crinoid or sea lilies, British crinoids, include pentacrinites from the West Country, crinoid fossils, trilobite, from Wales and Morocco, phacops, Traumatocrinus crinoids, kainops trilobite. megalodon shark teeth, great white sharks teeth fossils, wholesale british ammonite fossils.